National Institutes for Global Environmental Change (DoE/NIGEC) Midwestern Regional Center, Indiana University. Investigators will measure stand-level net ecosystem exchange (NEE) of CO2 and component carbon fluxes (e.g. 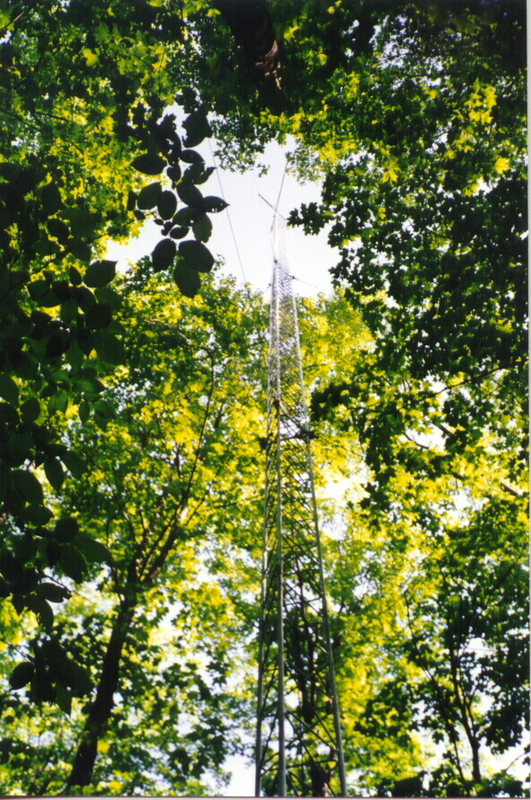 leaf and soil respiration, leaf photosynthesis, canopy and biomass metric) in landcover types which make up the landscape surrounding the WLEF tower. This will include the establishment of 2 eddy covariance flux towers (20-35m) in the region. A mature hardwood site and a mixed wetland site will host flux towers. Examine the relation between ecosystem (e.g. mature hardwood upland, mixed wetland, aspen) NEE of CO2 and the WLEF NEE signal, as well as the relation between ecosystem NEE of CO2 and component carbon flux measurements. A major goal is to develop and test models which use the component carbon flux measurements, and scale-up to the small flux tower footprint, then the WLEF tower footprint. This synthesis will better describe the mechanisms controlling regional NEE of CO2.